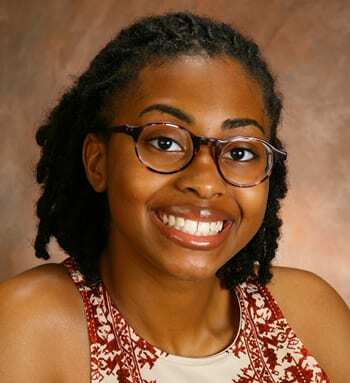 Andrea Stokes was raised in Indianapolis, IN, and graduated from Shortridge High School—an IB World School—as an International Baccalaureate (IB) diploma recipient. She is a sophomore at Tuskegee University, dual-majoring in Finance and History. On campus, Andrea has been involved in Melanination Media, UNCF Pre-Alumni Council, and History Club, as well as serving as a student ambassador. Andrea aspires to be a public interest lawyer and receive a Doctorate in Education, and hopes to found her own secondary school. Her overall goal is to use her collegiate degrees for community development. She finds leisure in reading, walks into town, and spending quality time with her family. Andrea looks forward to this year serving as the Central Regional Director, and is excited to help build a better, stronger Pre-Alumni Council for all 37 member schools.